Expertly crafted by web developers, WordPress themes give you an opportunity to build a powerful and beautiful website in the fastest and easiest way possible. You don’t have to be a professional to create and present your website now. Responsive design makes all themes perfectly scalable for any display resolution. As well as cross-browser compatibility can assure that your website will look the same in all contemporary web browsers. Suitable for any kind of content our themes are a great solution if you want to create a website with truly remarkable appearance. It’s incredibly simple to change the look of your website via multiple theme options. Add and customize diverse photo galleries to showcase your content in the most unique way. 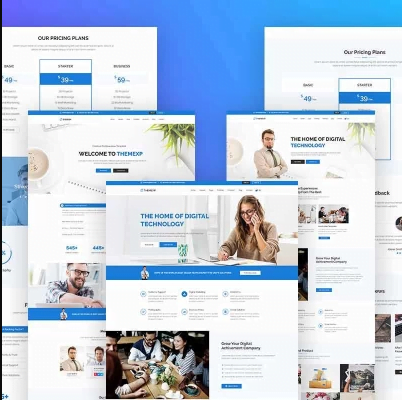 Thinking about the combination of all the foregoing features, we prepared the selection of the most successful, best-selling WordPress templates for you. If you need a hassle-free theme full of various features and rich functionality for your clinic, you should turn your attention to BeClinic WordPress theme! It comes with an elegant and an ultra-responsive design and cross-browser compatibility. Thus, your visitors will enjoy a great site’s performance on any modern device and in any web browser. 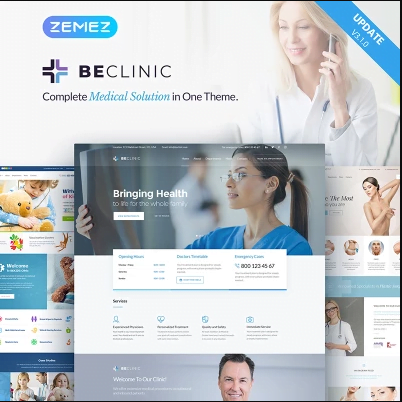 BeClinic is fully loaded with perfectly developed numerous plugins, easy-to-use Live Customizer, and totally user-friendly drag and drop Elementor Page Builder. Plus, this theme has a captivating and engaging Home Page, which catches your visitors’ attention at first glance. With BeClinic theme, you will be able to show up your clinic’s departments, introduce your staff, display your satisfied patients’ testimonials and much more! Being truly SEO-friendly, BeClinic provides you with a codeless layouts creation and allows you to edit your website in a visual mode. In addition, here you get multiple social options. Therefore, visitors can easily spread a word about your company on social media. Deliver your medical services to a wider audience with no worries at all! Businessman WP Template is suited for any type of businesses, companies, and corporate sites. This lightweight, responsive and customizable theme is an all-purpose solution for different types of businesses. Thanks to responsive nature and valid, semantic coding, users will be able to view your site on handheld devices in a matter of seconds. Advanced admin panel and rich UI kit open a wide range of opportunities and you can tweak this theme to have a unique look and feel. Elementor drag-and-drop page builder allows you to modify the layout of the template without touching a line of code. Display the feedback from your clients by means of Testimonials plugin, it will help you to build a trustworthy communication with your customers and will make your site look reliable. Your best works have to be known worldwide, you can showcase them with Cherry Projects and illustrate with catchy images, your clients will be able to see the true power of your business and your professional skills. Give the clear understanding of the amenities that you provide with Cherry Services, dedicated pages will help you to explain exactly what your company does. Try in action Businessman WP Template with the live demo, you’ll enjoy it’s moderate color scheme and impeccable navigation. 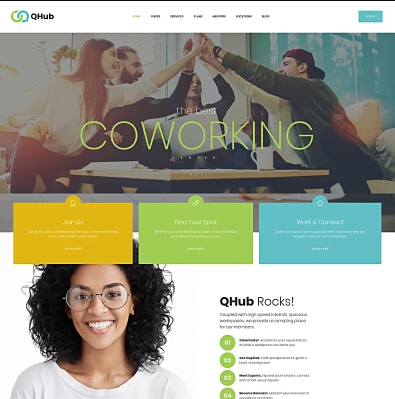 QHub is a great WordPress theme that was created for creative co-working and shared office space, meeting rooms, podcast studios and conference space rentals.The theme is built on Unyson framework that introduces a drag’n’drop page builder that lets you move the sections of the page in an optional order so that your pages look exactly the way you envision them. Customizer panel lets you choose between the boxed and wide layout variations and between three predefined color schemes. Also, you’ve got several options for theme’s header and footer. The theme features fonts from Google Fonts Library and FontAwesome icons. The code of the theme is super clean, well-formatted and commented. We backed up this theme with an amazing documentation that pretty much explains how to use this theme in details, but just in case anything might go out of control â€“ let us know and we’ll help figure everything out! Are you keen on traveling? Want to create your own website and blog about trips? This theme is perfect for you! 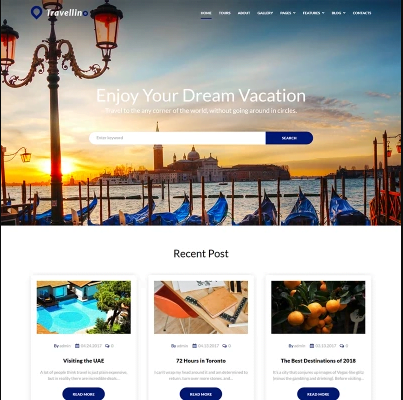 This theme is one of the most powerful and flexible solutions for travel agency WordPress websites. A convenient built-in admin panel allows you to give the original appearance to the site. Travelling is fully cross-browser and responsive – it will look great on any device, therefore your audience can follow up on your updates anywhere. With the help of Elementor drag and drop page editor, you can build your website content and customize its layout. Plus, you will also get JetElements plugin which adds dozens of unique modules and elements. Features and capabilities of the Travelling theme include a lot of things. Like the clean and professional design, flexible page layouts, and user-friendly settings for the admin. Also, adaptive design, extra widgets, Google fonts, SEO-friendly code, and much more! 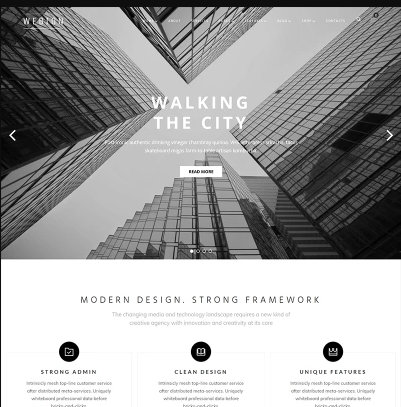 This fully responsive Corporate WordPress Theme will be of great help to you when creating a website for your company. 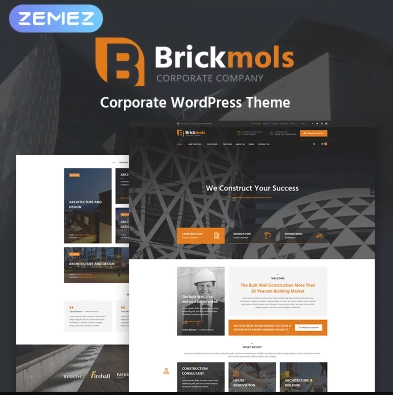 Easily adjustable, fast and reliable, this theme will help you make a corporate website that will never let you down. Made by the team of experienced web development professionals, this theme has everything that any respectable company needs for its website. Its key features are the fully flexible appearance, easy customization, social network support and fast response rate. The theme can boast with an intuitive interface, perfectly suits for blogging and provides multiple page layouts. With the help of Visual Composer page builder you will be able to create your own page layouts in addition to already existing ones. 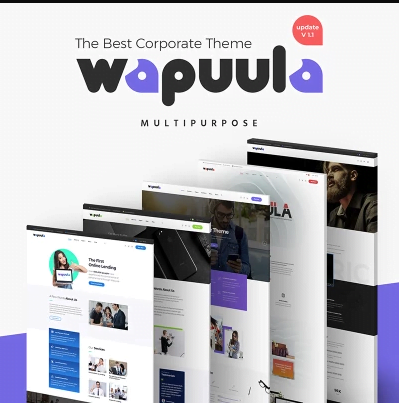 Wapuula is equipped with a variety of outstanding plugins, such as Cherry Team Members, Max Mega Menu, Easy Twitter Feed and many others. 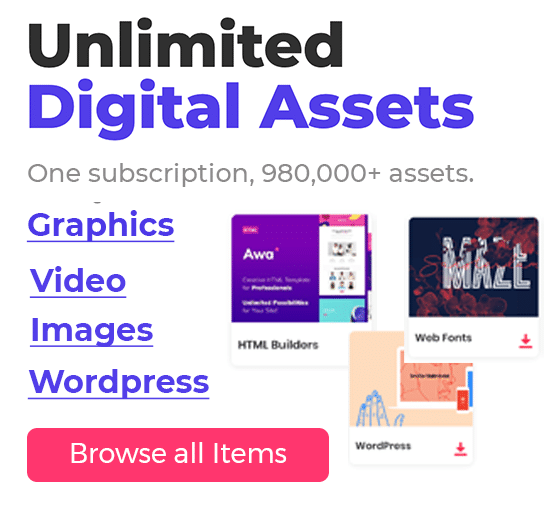 Use all these plugins to empower your website with versatile eye-catching elements. The theme also contains WooCommerce package allowing to create a fully-fledged e-store. 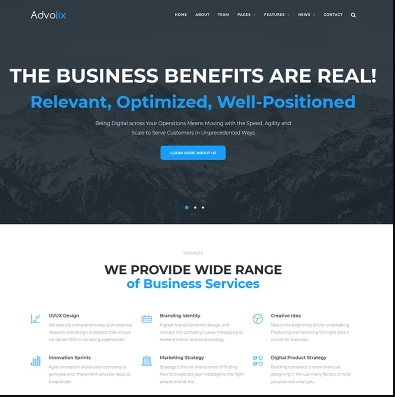 This amazing theme is exactly what you’re looking for if you’re bound on creating a website for your company. Meet immaculate and highly functional Minimal Multipurpose template – Webion! Fully loaded with great variety of plugins, it meets the needs of businessmen and entrepreneurs working in various spheres. The theme doesnâ€™t require any coding skills from you to create your own content layout. You can easily do it with the help of drag and drop Elementor page builder. 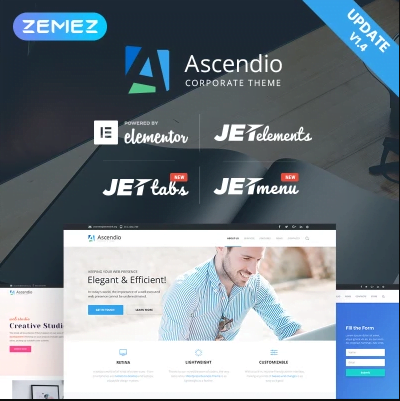 Strawberica also comes with JetElemets addon for Elementor, which adds various custom blocks to your websiteâ€™s page layout, containing additional modules, not included in the standard Elementor page builder elements bundle. Discover JetMenu plugin and create your own custom Mega menus and other features within few clicks! With this theme you will be able to show up your companyâ€™s services, introduce your staff, display your satisfied clientsâ€™ testimonials and much more! Being truly SEO-friendly, Webion provides you with a codeless layouts creation and allows you to edit your website in a visual mode. Let the whole world know about your Minimal Multipurpose WordPress Theme! This Psychology Clinic WordPress Theme will help you to create a functional psychology services website. Use this fast and reliable WordPress theme to create your psychology website and customize it as much as you want. This theme will let you create highly customizable, stylish, and responsive website. With this theme, you’ll get great response rate, intuitive interface, stunning artwork and fully adjustable looks. It also comes with full blogging and social network support. And multiple features, like widgets and dynamic pages, will make your website experience a lot better. And features like pricing tables will greatly ease providing your services. 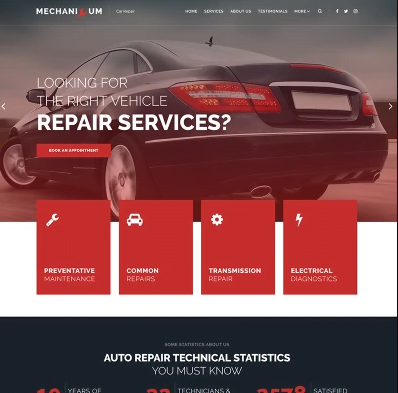 This fully responsive Car Repair WordPress Theme will help you to create a noticeable website for your car repair business. Almost ready-to-use website theme with multiple layouts and pages that will work equally fast on any type of devices. With this theme, you’ll get great response rate, intuitive interface, stunning artwork and fully adjustable looks with blogging and social network support. It’ll allow you to start your new business with a fully-functional website. You’ll be able to easily get in touch with your customers. You’ll be also able to offer your services and attract customers in a very effective way by using your new website. A template for a construction company must be solid and trustworthy. Brick mold is just what you seek for – it matches all the requirements for an engineering and architecture firm. The slider on the top of a page attracts attention, different animation effects make it more up to date and counters increase users trust rates. There are multiple types of the gallery, so you will be able to show your work to clients in the best way possible. 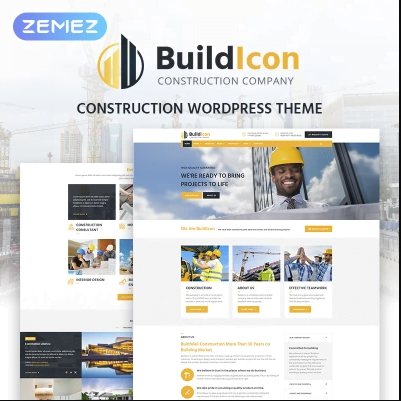 Blog functionality will be very useful to tell about your current projects, share the latest news of the construction and architecture world and increase your SEO.